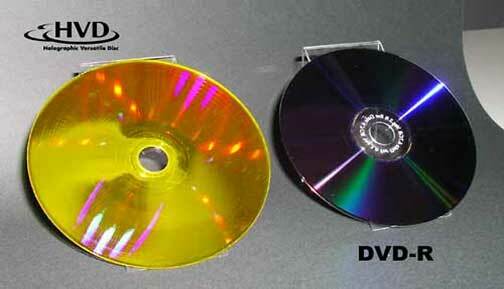 Holographic Versatile Disc ( HVD ) is a new type of storage device . It can store much more data than a blu-ray and still be of the same size. HVDs can potentially store 1Tb of data, which is stupendous. They can very well replace the blu-ray . This entry was posted in Computers, Data Storage, Energy, Games, Microsoft, Tablets, Technology, Uncategorized and tagged 1 TB storage, HVD. Bookmark the permalink.